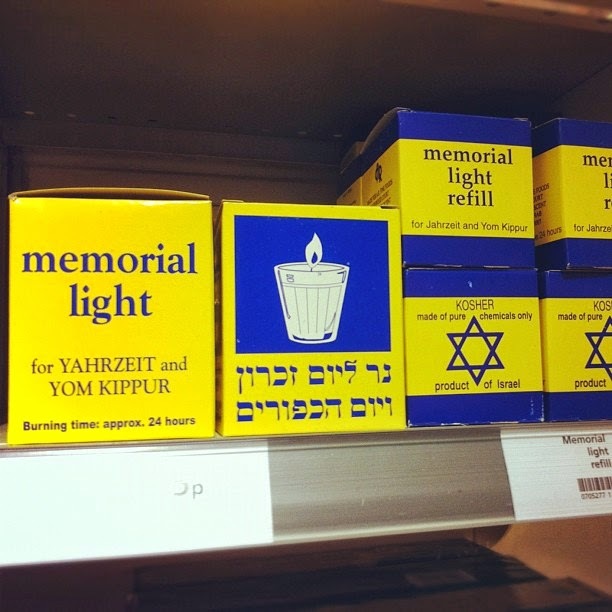 I stumbled across these lovely tealights in Waitrose the other day. They are a mere 79p each, you can get re-fills for 55p, and they are plain white wax in a small clear glass votive. And they burn for a whole 24 hours. Very tasteful and simple. I just wanted to give you a quick heads up about a Yahrzeit candle. These are memorial candles that are burned to remember the dead as a sign of respect, once a year on the anniversary of the death (you can read more here: http://en.wikipedia.org/wiki/Yahrzeit_candle , or in more detail here: http://www.chabad.org/library/article_cdo/aid/281636/jewish/Yahrzeit-Memorial-Anniversary.htm )... so best not used as a tealight if you have any practicing jews round for tea!